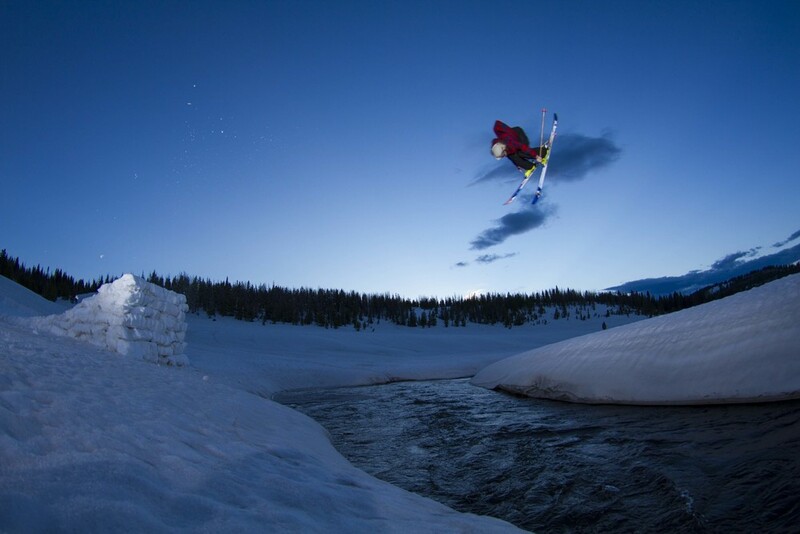 Conor Pelton bridging the gap on Rabbit Ears Pass this past spring! This is one of my favorite shots I've captured! 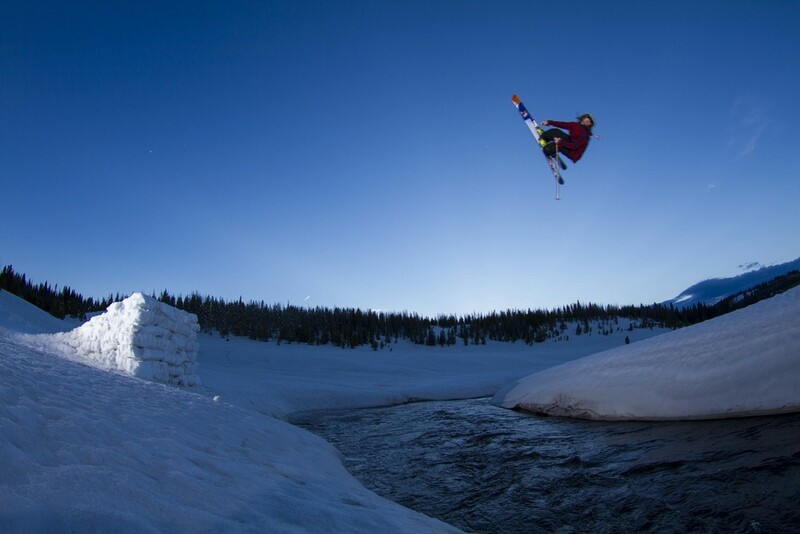 I have always wanted to shoot a creek gap, but they are very difficult to find. In late May my good friend and Freeride World Tour athlete, Conor Pelton came to Steamboat to take advantage of the late season snowpack. I've always had my eye on this spot on Rabbit Ears, but a lot of things had to go right. For one, we built the jump. However, we were still doubting if we would have enough speed to clear Walton Creek. The sun had already set and the time was now or never. In order to capture the shot as I intended, I needed to set up 2 wireless flashes (one behind the jump, and the other across the creek). As any photographer knows; setting up flashes can be complicated...especially when you have to cross a fast moving creek multiple times to dial in the settings! Conor then took one speed check, only to realize he wouldn't make it. I was finally in the creek up to my waist with my fishing waders on trying not to fall over in the near darkness. Meanwhile, Conor was up top adding 5 ft of extra in-run, enabling him to drop directly from the guardrail on Rabbit Ears Pass. The flashes were ready, and we would only have one shot. One frame...one attempt. Conor dropped in and luckily was able to get the grab at the moment I snapped the picture! Creek gaps never have downhill landings...and this was no exception! However intimidating, Conor gave it a go...and stomped the flat landing if course! The shots that have multiple variables and require the most work are often the shots I value the most!